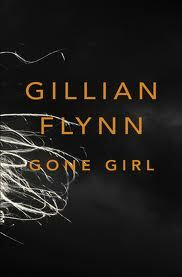 Gone Girl was our book club choice this month, so was a must read. However, I probably would have made my way to it regardless because of the considerable media hype about the book. Did I like it? Would I recommend it? Both questions are difficult to answer. As always, I will try to discuss the book without giving the story away, suffice to say, the plot deals with a woman who has gone missing. Her husband comes under increasing suspicion as the police try to decide whether or not he killed her. The most interesting thing for me about this book was the double narrative structure of the text. Nick, the husband and Amy, his wife, both get to tell the story from their separate perspectives. Each court the reader until, finally, we are not sure who we suspect and who we are rooting for. As such, the novel cleverly plays with the trust that naturally exists between narrator and reader. The plot itself is complicated and very detailed, which challenges the reader to be alert at all times, so do not expect a sleepy saunter through this book. Flynn leaves nothing to chance and keeps the reader in the dark much of the time, which is quite compelling. Yet, for me, I found the relationship between the married couple very interesting in itself. The plot traces the highs and lows of a love affair, and how Amy soon comes to notice the 'dust on the furniture of love', as poet Adrienne Rich once put it. But even a feminist like Rich never went to such lengths to put a man in his place. There are moments in this book that are quite terrifying and Flynn certainly knows how to keep a reader guessing. The setting of the book moves from New York to Missouri, but the true landscape of the book is in the inner world of the characters' minds, as Amy and Nick psyche each other out, and take the idea of a 'mind game' onto another level entirely. That said, I did not really care for either Nick or Amy by the end of the book, which is never a good sign with a novel. So, I would have to answer in the negative regarding the questions asked earlier, and although I do appreciate the skill Flynn possesses as a writer, I endured the book rather than enjoyed it and I would not go so far as to give it a recommendation, despite all the clever plot twists and media hype. I read the sample portion of this book and was hooked, but not enough to purchase the entire Kindle edition of it. Have you read Louise Erdich's Shadow Tag? It sort of reminds me of that. My ex and I have very different viewpoints on the demise of our marriage. ANd my ex sister in law once said." I hear both of you and it's like you're talking about two entirely different marriages." That affected me deeply, and it's something I still think about. One thing happens to two people and they never say the same thing about it.